An argument can be made for both the Avengers and Fantastic Four when it comes to which one is Marvel's flagship superhero team. Both have a longest, storied history filled with great story-lines and memorable characters. However, the Avengers team format allows for a Royal Rumble like conglomeration of characters. Besides the recognized members, like Iron Man, Captain America and so forth, other heroes have since joined and left the Avengers. Wolverine, Spiderman, and even Thing were members of the Avengers -or at least another version of Avengers- at one point or another. 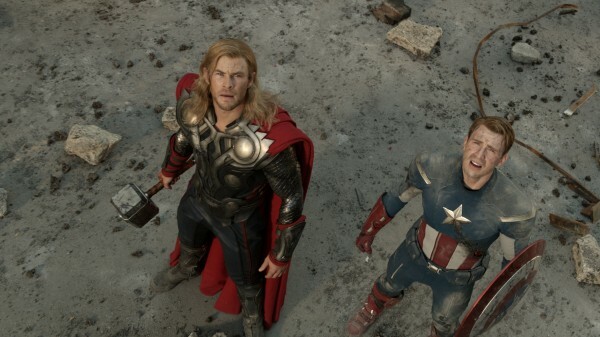 Check out Wikipedia's list of Avengers' members, past and future. 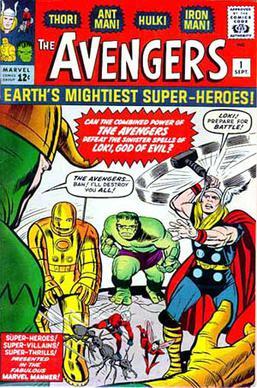 The Avengers team was first introduced to the world in The Avengers #1 (Sept. 1963). The founding roster consisted of Iron Man, Thor, Ant-Man (later known as Giant-man and a few other aliases), The Wasp, and Hulk. Unfortunately, Hulk's stay on the roster would be brief -lasting one issue- since the rest of the team feared for his unstable emotions and personality. The first foe that the Avengers faced was the Asgardian god Loki. Baron Zemo, one of Captain America's greatest foes, would form the Masters of Evil; who the Avengers would battle from time to time over the years. But, the two greatest villains that the Avengers faced were Ultron and Onslaught (a combination of Professor X's and Magneto's, souls). Currently, the Avengers' roster consists of Captain America, Hawkeye, Maria Hill, Iron Man, Protector, Quake, Red Hulk, Spider-Woman, Storm, and Vision. However, like the past, the roster is sure to change again. Plans for The Avengers movie began -with teasers at least- nearly four years ago with the release of Iron Man. During the post-credits, Nick Fury approaches Tony Stark on the "Avengers initiative." Later that year, at the end of The Incredible Hulk, Tony Stark is seen approaching Bruce Banner to reveal that a team was forming. Nick Fury would make additional appearances in Iron Man 2, Thor, and Captain America: The First Avenger films. He had a more prominent role in Iron Man 2, but only a brief appearance in Thor and Captain America. In Thor, during the post-credit scene, we see an invisible Loki during Nick Fury's brief appearance. 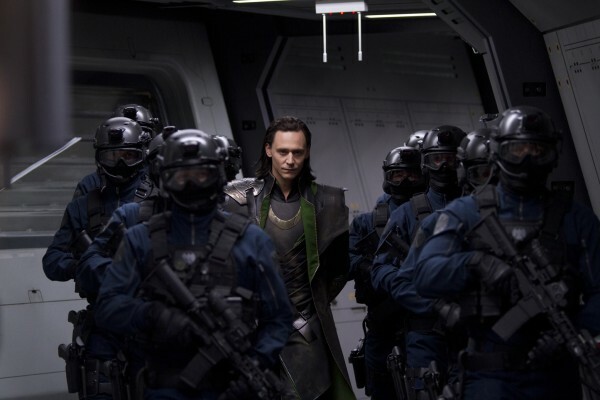 Of course, this can only mean that Loki is to play a big part in the Avengers movie. There are rumors circling around the Internet about Red Skull, Skrulls, and even Thanos making appearances. Red Skull makes sense since we've already learned that the movie's story would be told from Captain America's perspective. However, there hasn't been any confirmation of his appearance. The Skrulls (rights are owned by Fox) and Thanos making appearances is a little more sketchy. But, if Thanos makes an appearance, we may very well have an Infinity Gauntlets tie-in. Any fan of the Avengers, or the Marvel universe for that matter, would absolutely love that. Again, these are just rumors. Some new superheroes make their debut while familiar faces return in their roles as superheroes. Iron Man, Captain America, Thor, Nick Fury, Black Widow (as Natasha Romanoff) and Hulk have all made their own film debuts; some, decades ago. Other major members joining them in their first film debuts are Clint Barton/Hawkeye (Jeremy Renner) and Maria Hill (Cobie Smulders). Robert Downey Jr. reprises his role as Tony Stark/Iron Man, along with Chris Evans as Steve Rogers/Captain America, Chris Hemsworth as Thor, Scarlett Johansson as Natasha Romanoff/Black Widow, and Samual L. Jackson as Nick Fury. Bruce Banner, played by Eric Bana in Hulk (2003) and Edward Norton in The Incredible Hulk (2008), will be played by Mark Ruffalo. Lou Ferrigno, who voiced Hulk in The Incredible Hulk (2008), will return to voice him in The Avengers. Considering the cast, the build-up and tie-ins in other movies, budget and fan excitement, the movie is sure to be a blockbuster and major hit. It remains to be seen, however, on if the movie will live up to the hype and potential. The Avengers (2012) is due to hit theaters on May 4, 2012. A number of toys -mainly individual superhero lines- have been released for each Avengers member. 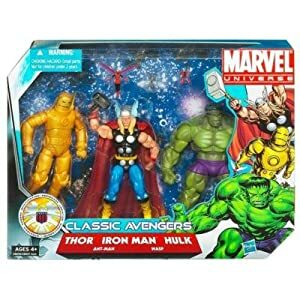 CmdStore.com has a few vintage Avengers toys. With the upcoming movie, a new Avengers toy line will follow. Check out Toys R' Us or any other major outline for them. Also, Amazon.com and a few online retailers should carry the toys as well. The Avengers party supplies recently released. They feature Captain America, Iron Man, and Thor mainly. However, The Incredible Hulk makes an appearance on a few items, like the dessert plates and cups; as well as the invitations, favors (stickers, etc), and even a cool Avengers Piñata. Disappointingly, Hawkeye and Black Widow are both missing. Even still, any Avengers fan is missing out if they don't include these themed party supplies in their next party. Team members can be found in other movies of their own, and even a cool Ultimate Avengers cartoon. The best place to find the Avengers, of course, is in their comic books. There are, literally, hundreds of Avengers themed comic books that have released over the years. Some are official Marvel canon while others are spin-offs. Asterix Books List: Which are the Best? Recommended Asterix books not to miss and extra tips on choosing a great Asterix book.